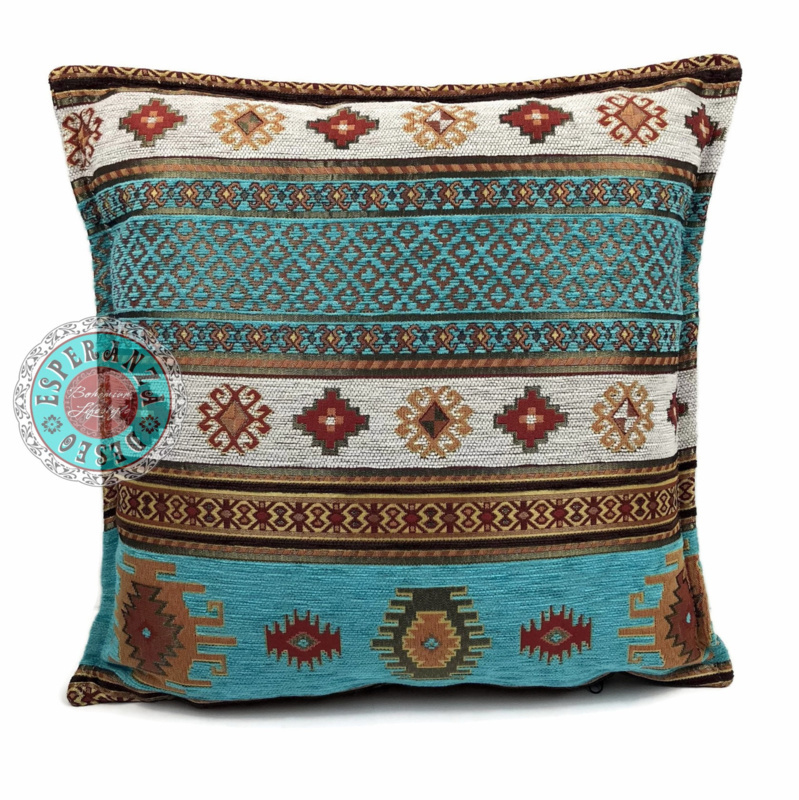 Handmade decorative Aztec cushion made of beautiful exclusive furniture fabric, combined with glossy fibres. 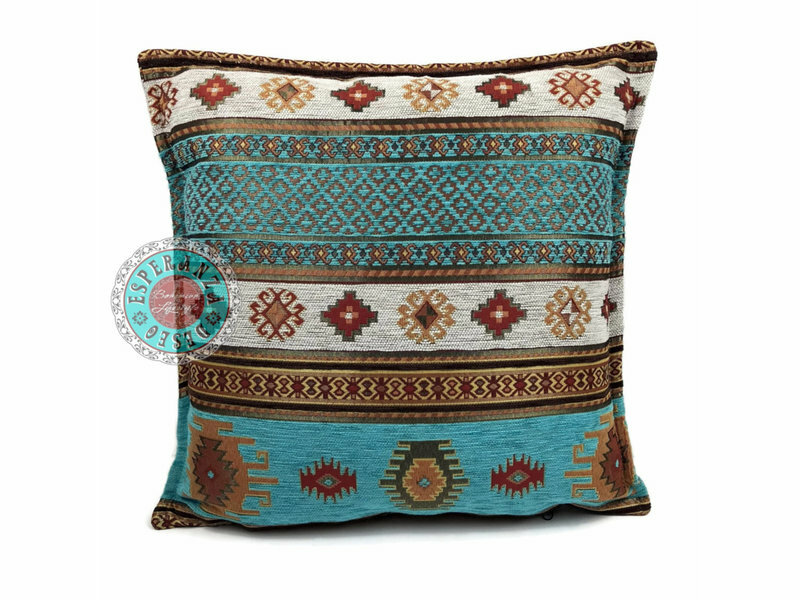 A beautiful quality with an arabic look for a bohemian lifestyle. The decorative cushion has a black zipper, is colourfast and washable. Both sides are made of woven furniture fabric. So it is not an print. Hand washable up to max. 30 degrees, do not bleach, do not tumble dry, cold iron. Preferably dry flat. Remove small stains with a soft brush and mild detergent. 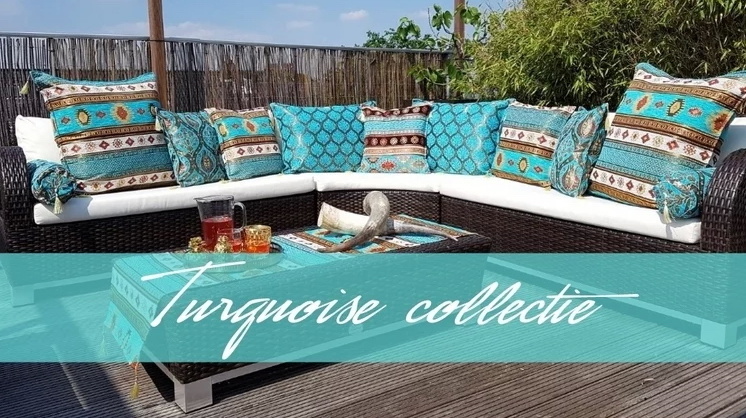 We guarantee that the decorative cushions are extremely strong; the furniture fabric lasts a long time. However, we are not responsible for the wrong washing and drying treatment, nor for the zipper. Inserting the inner cushion through the zipper opening should be done carefully.